A while back I made a video of an Ibis Mojo 3 that I tried out when the Ibis guys came to Corner Canyon (one of my local trail systems). I had recently done a demo of a Trek Fuel which I believe was the Fuel EX 9.9 29. 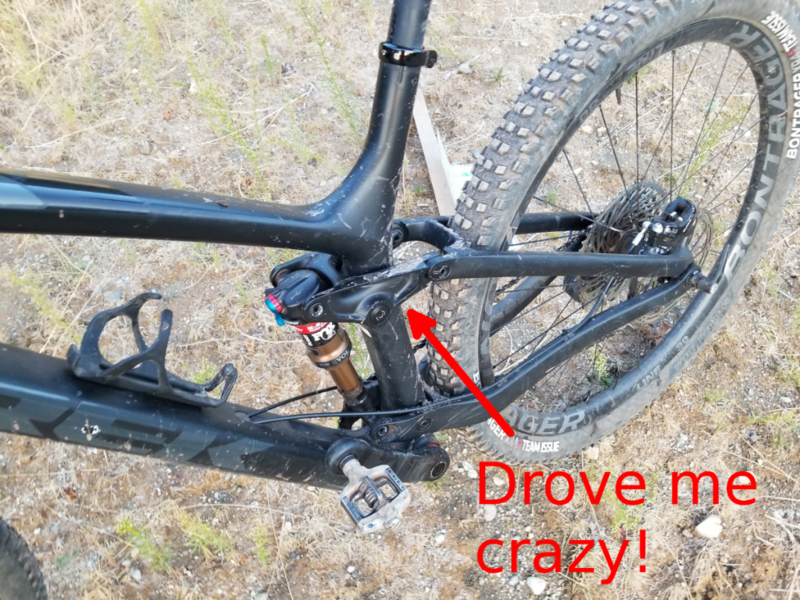 I didn’t take notes of the specs on the bike, but I do have some pictures from which I have tried to piece together this article (feel free to correct my mistakes). The Trek Fuel EX is an 8k-9k bike which seems like has the resume of a winner, but was not a good fit for me (and not only because of the price). 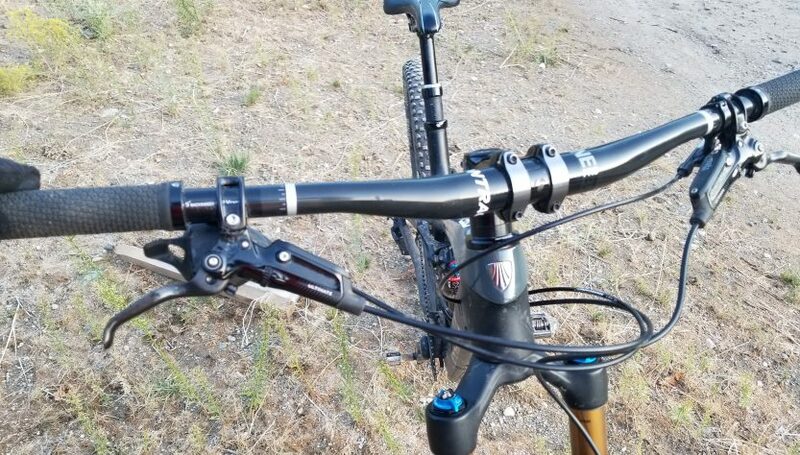 As I was riding the Mojo 3 I couldn’t help but compare it to both my Tallboy and the Trek Fuel EX. The comments that I made were definitely in favor of the Mojo 3 and down on the Trek Fuel. I have had a few people interested in the references that I made to the Trek Fuel EX so I thought that rather than try to capture my thoughts in Youtube comments, I would instead do this quick write up. 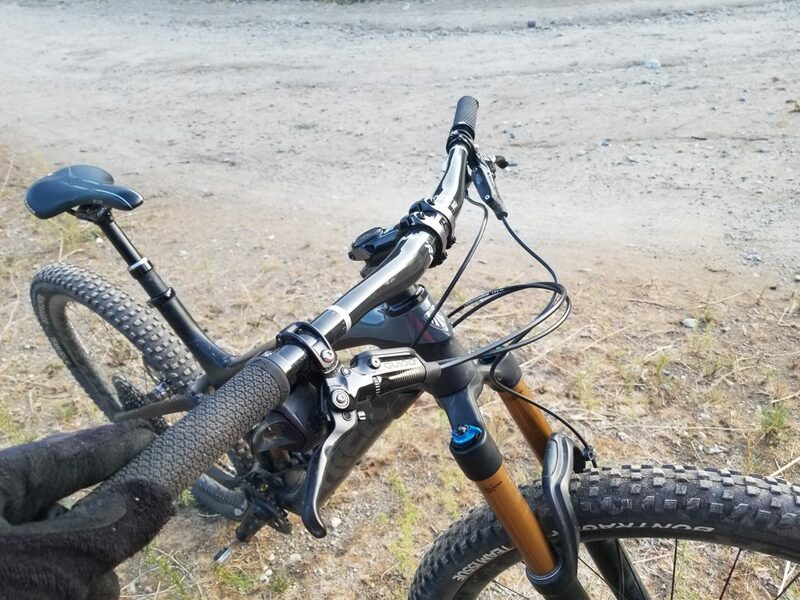 Because I unfortunately didn’t have my gopro working that day I don’t have my full review (which would have been so much more compelling), I did take some pictures of the Trek Fuel EX which I have included below. What are the specs on that thing? My thoughts after… a bit of time. A very gorgeous bike. Looks amazing. Seems like it has all that you could want. The shocks, the carbon frame, the brakes, the dropper, the EAGLE!!! 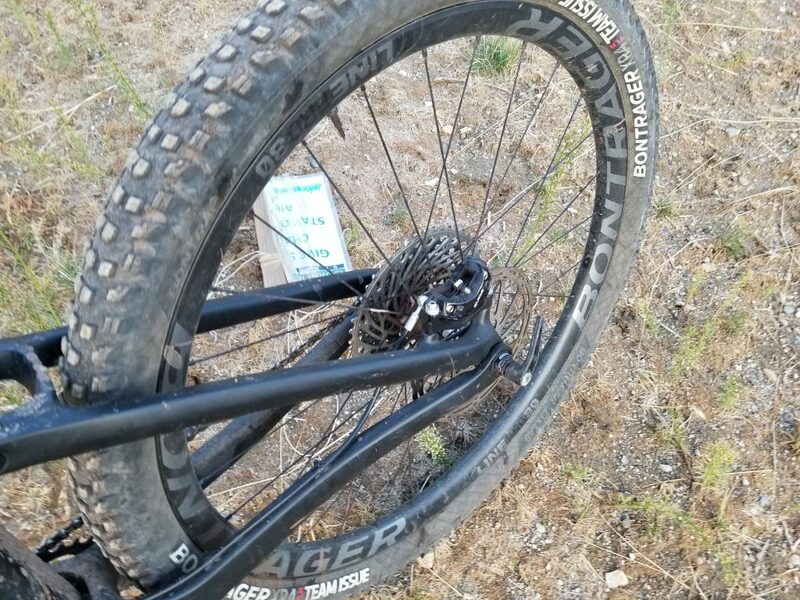 The 29″ wheelset! I love my 29″ Tallboy. Amazing setup right? Wrong. I hated this bike. I couldn’t wait to get off it and get back on my 2013 Tallboy. Looks can sometimes be deceiving and for me, these looks were not backed up by the performance that I expected. 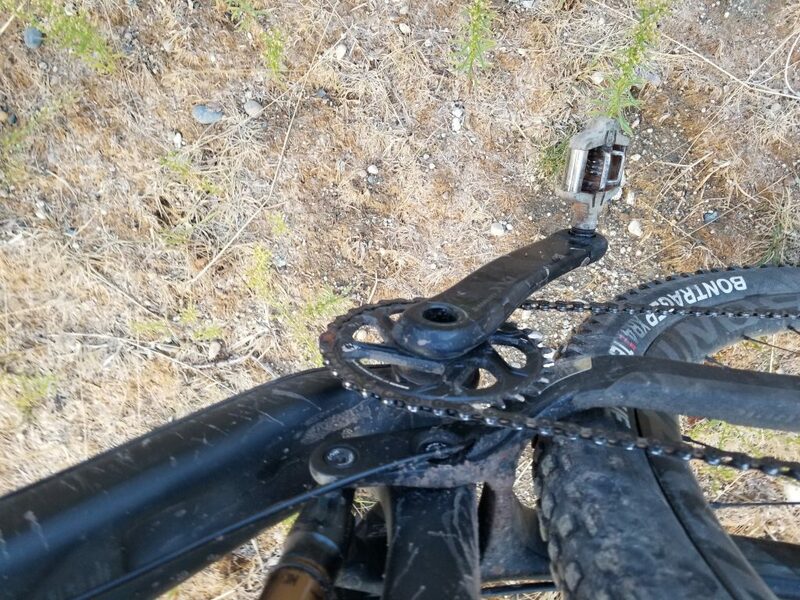 I had no complaints about the Sram Guide brakes. The Sram XX1 Eagle was nice, and was necessary to get the beast up the hill. What did I hate about it? Well, my opinion was first soured when the dropper post wouldn’t stay up on my climb. It would slowly drop. I am sure that was a leak in the dropper. With a small repair I’m sure that problem would be solved, but it put me in a very bad mood. 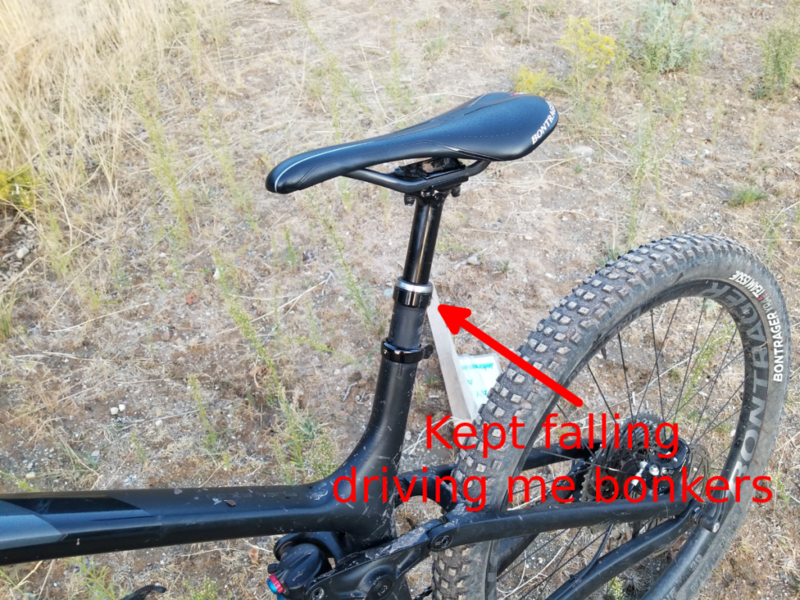 I am very particular about my seat height when I am climbing. The second thing I hated was that both as I was climbing and descending, my calves would actually hit the linkage. From the pictures you can see that the linkage does protrude a bit, but it doesn’t seem like it would be problematic. But it was very annoying. Third, cornering on the DH was abysmal. I felt like I was driving a tank, there was no agility to this bike. I didn’t try anything special coming down as I felt like the bike was just off balance, bulky and awkward. What I mean is, I didn’t try to clear the tabletop that I hit in my Ibis Mojo 3 review above. I was very careful on the step-ups and I didn’t throw it around on the jumps and hips nor did I fly up the wall rides like I would have on my Tallboy or on the Ibis Mojo 3. Basically I just didn’t feel like I was getting any clean lines on anything. 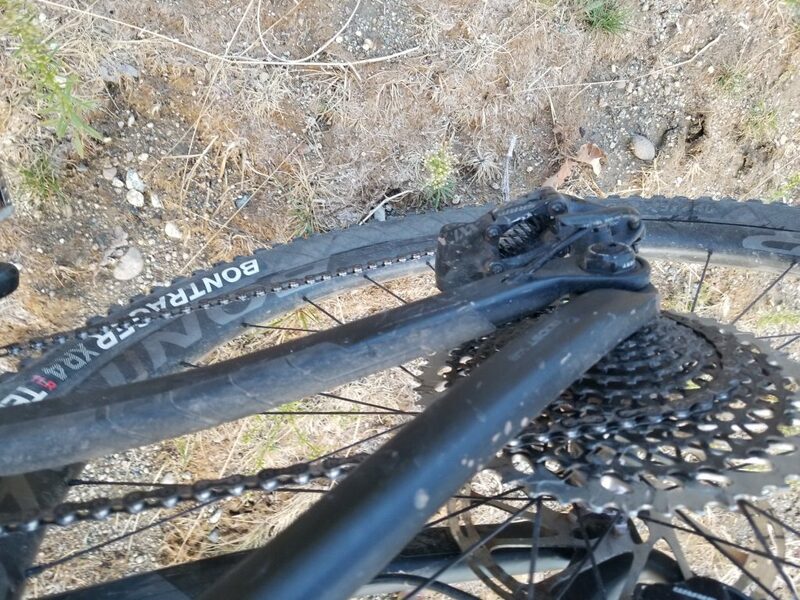 Maybe I should have taken it down a more basic trail, but I really think that the bike I buy should handle the tight flow and speed that I run on the trail I chose. The bulkiness and clunk just got in the way of having a good time. This bike and me didn’t click. That’s not to say that it wouldn’t work for you. I am sure that this has a lot to do with my riding style and my body geometry. But the Trek Fuel EX 9.9 29 although it has a high price tag didn’t have the performance value that I was looking for. I am just starting my quest to review all the bikes on my list before I buy my next bike… Which I really hope is next summer. But I can tell you for sure that the Trek Fuel won’t be the one. Thanks for reading and please leave your comments below. I’d love to hear about your experience on this bike. Do you like it? Does it work for your body type? Am I totally out to lunch?